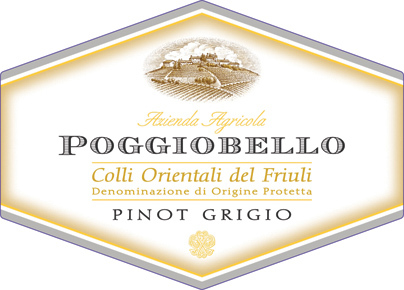 Pinot Grigio is perhaps one of the most quintessentially Italian grape varieties and north-eastern Italy is the epicenter of its production. In Friuli, PG has been cultivated since the first half of the 19th Century where it found perfect growing conditions in the Colli Orientali marly terrain. 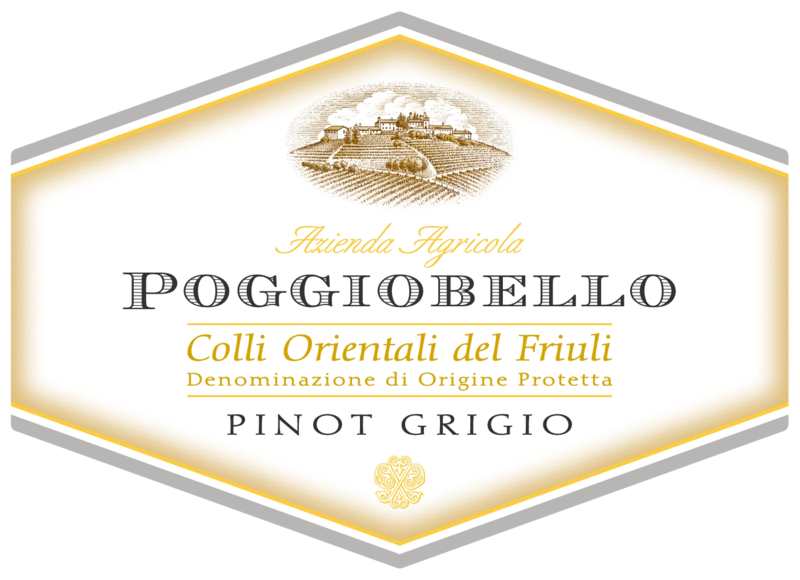 Poggiobello Pinot Grigio is as good as Pinot Grigio gets: there is a variety of elegant fruit and floral notes on the nose. It is well-structured and full-bodied on the palate with a fruity finish. Because of its medium-to-full bodied style and vibrant acidity it will pair well with rich seafood dishes, but also with pasta Bolognese, eggplant parmigiana, pasta alla Norma (with eggplant and ricotta cheese) and cold-cuts like culatello from Emilia or Tuscan finocchiona. Grapes are softly pressed and skins are immediately removed from the must. Fermentation takes place in stainless steel at controlled temperatures. Then a partial malolactic fermentation occurs. The wine rests on the yeasts for about 6 months in steel tanks, and then rests in bottle for 2 months.